Anne Frank began writing in her diary at the age of thirteen, from June 12, 1942 to August 1, 1944. Indeed, she did not have any close friend she could talk to, so in her diary writes for all his experiences an imaginary friend, named Kiti. These notes, where she spotted the gloom of those gloomy and severe days, were written for Anna alone, until the spring of 1944, when Bolkenshtajn, then Minister of Education in Exile, said on the radio that all evidence of suffering Dutch people during the German invasion, would gather and be published after the end of the war. His father, after the war and the disappearance of the entire family in the concentration camps, decided to publish this blog, which soon became one of the strongest and most gruesome evidence of the "Shoah". 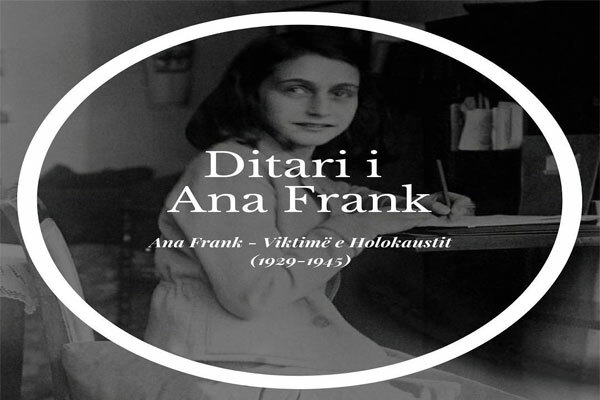 Thus Ana Frank's Diary became one of the most read books in the world and translated into dozens of languages. The house where the Frank family was hiding in Amsterdam today is open to visitors. There is also the diary written by Ana, which has the value of a unique human document. "Ana Frank's Diary" from dt. November 15 at @teatrimetropol.